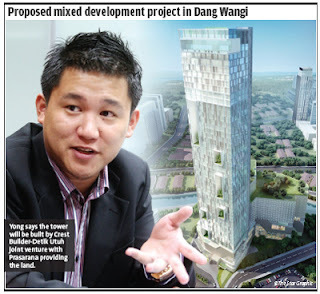 PETALING JAYA: The proposed policy to raise the floor price of properties sold to foreigners will have a limited impact on UEM Land Holdings Bhd's developments in Johor, even though a large portion of its buyers there are from abroad. This is because prices in its Puteri Harbour waterfront development, where foreigners make up some 40% of buyers, have already surpassed the RM1mil mark, well above the proposed RM800,000 threshold, Hong Leong Investment Bank (HLIB) Research said in a report on the property sector. StarBiz reported on Tuesday that the Government is considering raising the minimum floor prices of houses foreigners are allowed to buy to RM1mil from the current RM500,000 in a bid to prevent runaway house prices. A decision on this was said to be “in the pipeline” and the implementation would be made by the economic planning unit. Sources had also told StarBiz the revised guidelines would consider a slightly lower base price threshold of RM800,000 for residential properties in selected economic corridors such as Iskandar Malaysia to ensure their success. “In the Klang Valley, our channel checks indicate that a majority of foreigners are renters instead of buyers; foreign buyers tend to focus on the KLCC area and the Golden Triangle, and they typically purchase projects with valuations in excess of RM1,200 per sq ft.
“Hence, the RM1mil floor price is also irrelevant to this group of buyers, in our view. We gather that less than 5% of all transactions are by foreign buyers, and we argue that impact will be minimal in light of the current prices,” HLIB Research said. Meanwhile, analysts think UEM Land's recent purchase of 122.28 acres near Puteri Harbour was done at a good price. The freehold land, which is under agricultural classification at the moment, was bought for RM93.2mil or RM17.50 psf from Tanjung Bidara Ventures Sdn Bhd, a wholly-owned subsidiary of Khazanah Nasional Bhd. It is adjacent to Kota Iskandar, the Johor government's administrative centre, and 40km south-west of the Johor Baru city centre. UEM Land plans to develop the land into a premier residential enclave featuring a mix of canal-front homes with individual berthing and high-end condominiums. 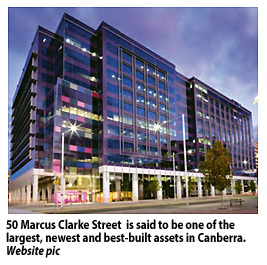 The project is expected to span over seven years, with work to commence in 2013. In a client note, HwangDBS Vickers Research said the RM17.50 psf price was at the lower end of recent land transactions around Johor Baru. “The latest transacted price of Puteri Harbour has reached RM220 psf, suggesting vast potential for the proposed land acquisition,” it said. The 122.28 acres is actually part of a larger 4,500 acres it had disposed to Khazanah as part of a de-gearing exercise in 2006. UEM Land currently has a land bank of about 5,600 acres in Nusajaya, one of the flagship zones in Iskandar, according to HLIB Research. With the company now on stronger financial footing, HLIB Research said it was taking the opportunity to re-acquire the land to better implement its original vision for Puteri Harbour. The brokerage added that the earnings impact from this new acquisition was uncertain at this juncture, although more clarity would emerge in end-2012 when UEM Land submits the detailed layout plan to the authorities for approval. While UEM Land's management had said it was premature to release a gross development value (GDV) for the land, Kenanga Research has estimated a GDV of RM8bil based on a land utilisation rate of 70% and GDV per acre of RM96mil for Puteri Harbour's Imperia condominium.